In honor of Halloween, Sheena and I decided to watch a “scary” movie Wed. night. We chose the remake of Dawn of the Dead. First off let me tell you that I am not a scary movie fan. And it’s not because I don’t like to be scared. It’s because they aren’t scary. Well, most aren’t. And they just aren’t good. Most of the “scary” stuff put out these days is just gore and terrible stories/acting. Plain and simple. 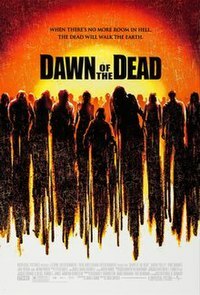 After watching Dawn of the Dead, I’m realizing that I am a scary movie fan, but good scary movies are just very hard to come by. This movie reminded me a bit of my favorite scary movie, 28 Days Later. I guess I’m more of a zombie-type scary movie guy. Whatever. 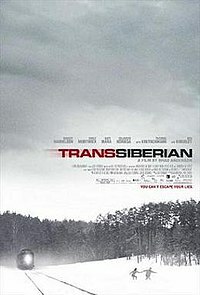 The movie was pretty intense, funny, serious, bloody, realistic, absurd, etc. Was it perfect? No. Was it as good as 28 Days Later? No way. But it was definitely one of the better horror movies I’ve seen. If you like that sort of thing, I’d recommend it. Poladroid is a fun little program (for mac only, pc version coming soon) that lets you take your digital photos and easily make them look like old school polaroid photos. It’s just kinda neat. That’s all. People who say it better than I do. Because Reason 5 seems to be the major issue (at least for Christians) in this election, below are three more blogs/articles I recently read that are short, but get across the way I feel. I’m a Catholic, staunchly anti-abortion, and support Obama. Why I’m Pro-Life and Pro-Obama. And one last site with lots of information is Matthew25.org. I’m not much for politics talk, so this will be the last of it you’ll hear from me. 1: So, you’re not gonna go to law school? What do you wanna do then? This movie was actually a lot better than I expected. It was pretty dang funny throughout. Definitely one of Ferrell‘s best movies in a while. Sure, there were some stupid parts that I could’ve done without, but for the most part it was just plain funny. 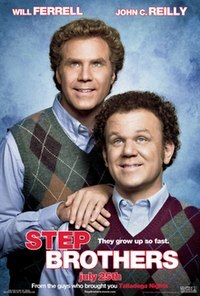 Ferrell and Reilly make a great duo. I hope they keep it up. Decent idea. Terribly executed. Terribly acted. Terribly, terribly written. The dialog in this movie is some of the worst I’ve ever heard. The actors in the movie are actually somewhat decent, but they were given crap to work with, and they delivered just that. Crap. The cinematography was somewhat clever at times, but that was the only good thing about this movie. Don’t waste your time. I really liked this movie. It drags a bit for the first half, just kind of introducing characters and whatnot. I think they spent way too much time on that, but what do I know. Once the plot gets moving, it’s a pretty intense story. There were parts where I got a little frustrated because I felt things could have easily been resolved, but then the movie would have ended, so again, what do I know. If you watch the trailer, you pretty much know what’s going to happen, but there are some nice twists and turns that are unexpected. I think this is one worth checking out. Andy B. just sent me this site. it’s pretty funny, and pretty fun. Just when I think I’ve clicked on everything, I find something else. FYI: Some things you can click on multiple times. p.s. it’s updated daily. i just saw that at the bottom. Pray The Devil Back To Hell. 1: Do you have any experience? 2: No, sir, I have no experience but I’m a big fan of money. I like it, I use it, I have a little. I keep it in a jar on top of my refrigerator. I’d like to put more in that jar. That’s where you come in.